Starting today, businesses building on our Direct Messages platform can request and share locations with people. Alongside quick replies, welcome messages and Customer Feedback Cards, this is yet another feature in the canvas we’re providing for businesses to create great human- and bot-powered customer experiences on Twitter. 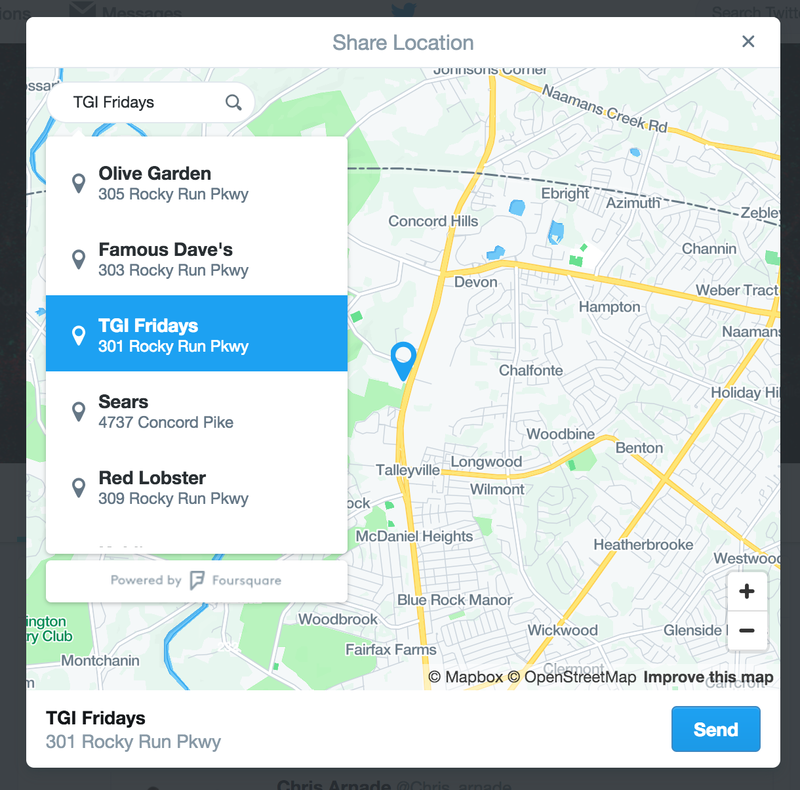 People have complete control over the location information they share with a business. Businesses must first ask a person to share a location. That person can then choose to ignore the request, share a precise location, or pick a place name from a list – regardless of whether or not they are physically there.